Do you have a goal you'd like to achieve? There are lots of people with lots of goals. Just because we have a goal, doesn't mean we're going to achieve it. There is often a big gap between knowing what we've got to do and actually doing it. (1) Figure out the "why". 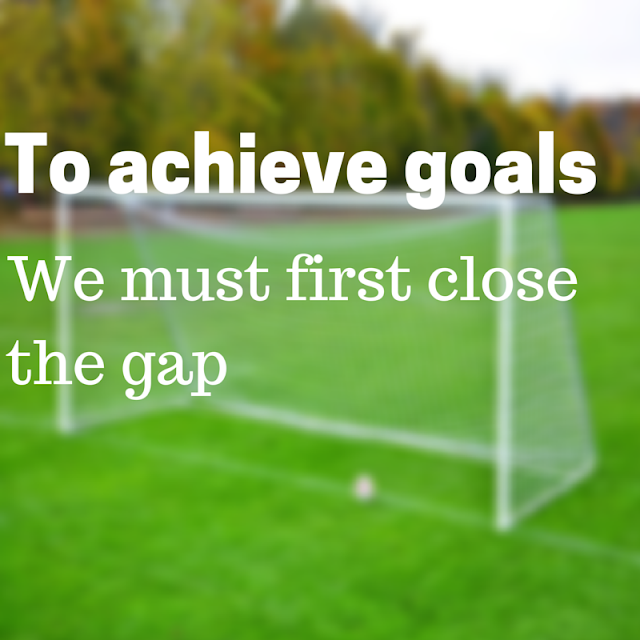 By finding out WHY we want to achieve a goal it will help us change our habits and behaviour. If the WHY is big enough, the how, when, where and what tends to take care of itself. Often the path of least resistance is more appealing than finding the energy to step outside our normal rut. Discomfort is temporary. Once we start to explore what's possible the discomfort is replaced with energy and enthusiasm. We know ourselves better than anyone else. We know what works for us and what doesn't. We know where we've achieved results in the past and what has derailed us. So in order to achieve results we can plan around our own excuses. While our challenges might feel overwhelming at times, there is positivity in any situation if we look hard enough. One person's adversity is another's opportunity. So find the opportunity behind any element that may be trying to derail progress. Don't wait for everything in life to be ideal before starting to work towards a goal. That time will never exist. Every day you wait is pushing your results further into the future. There is no time like the present. I actually didn't! LOL. Or if I did, I forgot. Will do! Great advice Leanne. I also like to set mini-goals on the way to goals. Bite-sized chunks that reward you along the way and give motivation to keep going. Excellent advice- I like setting small goals with an end in sight. Love finding the opportunity. There always is a positive side to any challenge if we look for it. I think my biggest goal-related challenge is that I don't have a stable day job schedule, so when I try to book things in so I complete them, it just doesn't always happen. I do have a lot of goals! I know I will achieve them but it takes time and patience. At the moment my girls are dependent on me. When they become a little more independent I think I will be able to achieve them! Great tips Leanne - I like the one about planning around excuses because it is so easy to make them - especially the old chestnut about not enough time. Great tips Leanne. I find breaking it up into little steps also helps me along the way, plus gives me a sense of achievement when I kick those "mini" goals.